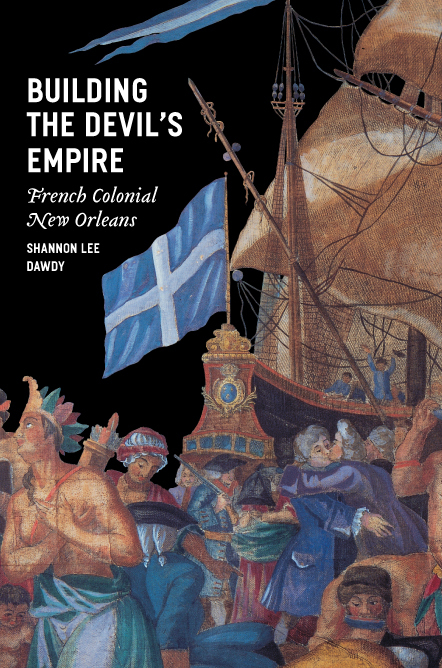 Building the Devil’s Empire is the first comprehensive history of New Orleans’s early years, tracing the town’s development from its origins in 1718 to its revolt against Spanish rule in 1768. Shannon Lee Dawdy’s picaresque account of New Orleans’s wild youth features a cast of strong-willed captives, thin-skinned nobles, sharp-tongued women, and carousing travelers. But she also widens her lens to reveal the port city’s global significance, examining its role in the French Empire and the Caribbean, and she concludes that by exemplifying a kind of rogue colonialism—where governments, outlaws, and capitalism become entwined—New Orleans should prompt us to reconsider our notions of how colonialism works. "By untangling myths, Dawdy has left us all with a richer inheritance. . . . Good history contains surprises, of which there are an abundance in this eye-popping yet scholarly book. And it has some cool color illustrations, too." "[A] penetrating study of the colony’s founding." "The author, trained in historical archaeology and anthropology, provides often-remarkable insights into the ethos and daily lives of the people of New Orleans, while putting this unique society into a larger context of colonial dynamics and structure. . . . Historians have paid surprisingly little attention to this fascinating period, and this book is most welcome." "In delightfully diverse ways, [the author] explores the themes of imperial design, creole improvisation, and rogue colonialism. . . . Dawdy’s book furnishes a model of interdisciplinary research, bringing to the task the tools of archaeology, ethnography, literary analysis, and archival research, all the while vigorously engaging with the secondary and the theoretical literature. . . .Engagingly written, beautifully illustrated, flawlessly edited, and reasonably priced." "Employing a vibrant style, Dawdy animates a painstakingly woven social, cultural, and economic tapestry of the history of French Louisiana, one that deserves to hang in a place of honor in the years to come."